As our Executive Chairman, Roger guides our strategic development and brings his long experience to bear in supporting every member of our team. After qualifying as a barrister, Roger spent his early years as an in-house legal adviser to industrial and technical multinationals. Later, on behalf of one such multinational, he promoted M&A and joint ventures first in London and then in New York. On his return to the UK, Roger joined the Generics Group in Cambridge, there forming a team commercially to develop patentable inventions mostly emerging from the team within Scientific Generics. He subsequently established an independent consultancy, undertaking a variety of assignments for technical companies, universities, government organisations and others, typically in areas relating to the management and exploitation of intellectual property in the field of the physical sciences. He guided several projects to their independence and, in several cases, continues to have both an equity and a wider interest in their development. His first association with UCL was established during this period in a project emerging from its Department of Physics and Astronomy. Later, as a Commercialisation Fellow working within UCL Business, he identified the technical advance conceived by Dr Selviah as having the potential for a spin-out business, thus leading to the creation of Correvate Limited. David is both a Director of Correvate and a UCL academic at the Reader level. In Correvate he provides leadership and supervision of the technical programme and team. His novel research results are directly embedded into the Vercator software. For the last 30 years he has been at the Department of Electronic and Electrical Engineering, University College London (UCL) where apart from his research on artificial intelligence and creative algorithm development he has specialised in the laser and optical field including LIDAR scanning. He has over 200 publications in his academic career to date. 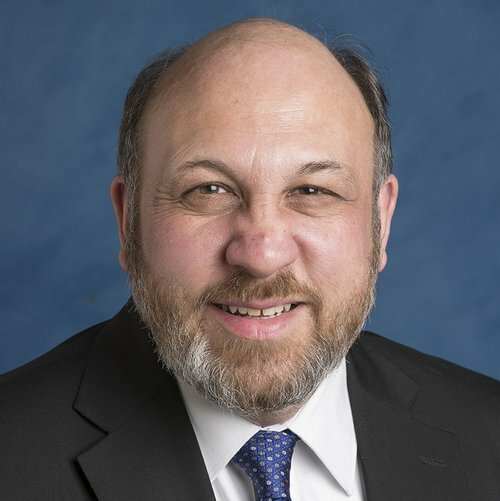 Away from UCL he represents the UK as an expert at the British Standards Institute setting international standards in the International Electrotechnical Commission committees for the rotation and translational alignment of lasers to optical fibres and carries out consultancy in these specialist areas. He has been a partner and leader in forming many project consortia of universities and companies including many Innovate UK and EU projects. Prior to UCL, David carried out research into pattern recognition for use in secure radio communications and radar at Plessey Research (Caswell) Limited. He then carried on this research topic in the Department of Engineering Science for his studies at Christchurch, Oxford University. While there he transferred his design software to a spin out company and trained the company staff in its use. David attained his PhD in Optical Engineering at Cambridge University. Martin qualified as a solicitor and spent his career at Clifford Chance where he was a partner for 30 years specialising in company law. 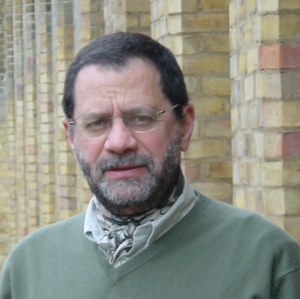 He was a founder trustee of International Lawyers Project (2005-2011); a trustee of Thames Community Foundation (2005-2011); and has been a trustee (and is vice chair) of The London Community Foundation since 2011. On retirement in 2003, he took an idea for an invention to University College London which agreed to develop it under the leadership of Dr. David Selviah. Correvate’s technology developed partly from that work and from other substantive work undertaken at UCL by David Selviah and PhDs who are now part of the Correvate team. Steven brings extensive experience of licensing and spinout company creation across areas ranging from ICT and petrochemicals through to medical devices and imaging. He is an engineer by training with a PhD in Process Control Engineering from Manchester Metropolitan University, which is complemented by industrial experience in the newspaper and process control industries and an Executive MBA from Manchester Business School. Steven is currently the Director of six UCL spinout companies and represents UCL’s interests in an IT-focused seed stage investment fund. Martin is the CTO of Correvate, providing leadership and supervision of the technical programme and team. Martin joined Correvate from Atkins, where he spent 13 years in various roles including the leadership of the 60 strong software and systems practice based in the UK and India, and the delivery and support of bespoke software engineering projects across numerous sectors including Government, Emergency Services, Manufacturing, Airports and Utilities. These projects included the Atkins Spatial Data Infrastructure (SDI), a cloud based Geospatial solution that won the 2008 AGI award for Innovation and Best Practice. In 2013 Martin successfully led the achievement of TickITplus accreditation, a software and IT quality benchmark for UK businesses. Prior to Atkins, Martin worked at Ordnance Survey as a Technical Project Manager, introducing automated testing tools, and Autodesk, where he delivered bespoke software solutions, based upon Autodesk technology, to clients within the Utility sector. Martin has also worked for Siemens Plessey Systems integrating GIS and command and control systems, and at Cornwall County Council, developing GIS applications within the transportation department. Martin brings over 20 years’ experience to Correvate, with expertise spanning Geospatial technology, cloud services and the software development lifecycle. Martin is a certified TOGAF Practitioner, SCRUM Master and PRINCE2 Practitioner. Eero is a software developer and engineer with many years' experience in coding and creative algorithm development. He is the Lead Developer for Correvate's Vercator toolkit, handling the creation, programming and technological implementation of new ideas into the software. Prior to working for Correvate, Eero was a Software Engineer at Ocado Technology. In 2009 he completed his doctorate which involved the computer modelling of liquid crystal devices. For this he wrote finite element analysis software for 3D simulations of the orientation and flow of nematic liquid crystal materials, and used this program to model the operation of various LC devices. Eero has worked on a number of research projects, including those financed by European FP7 and Innovate UK. His post doctoral research at UCL included writing image processing software for stitching together large high resolution panoramic images from many smaller images captured using a microscope on a travelling stage.